As we quickly approach the holidays, you probably need to relax…and want a good, strong cocktail to do so. I’ve just the solution for you. 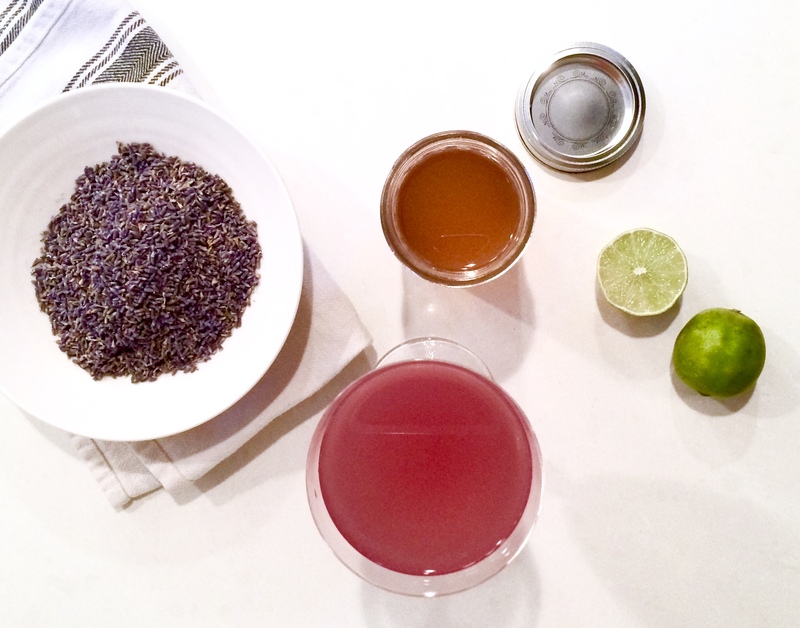 A delightful little drink called The Bee’s Knees: a heavenly blend of fragrant lavender and honey that will calm the nerves and soothe the soul. The recipe is from my mother-in-law, a Vermonter who—as a recent retiree—has mastered the arts of relaxation and laborious cocktails. This one in particular she picked up from the barkeep at a great little restaurant called Starry Night near Charlotte, VT.
Here’s how you make The Bee’s Knees. 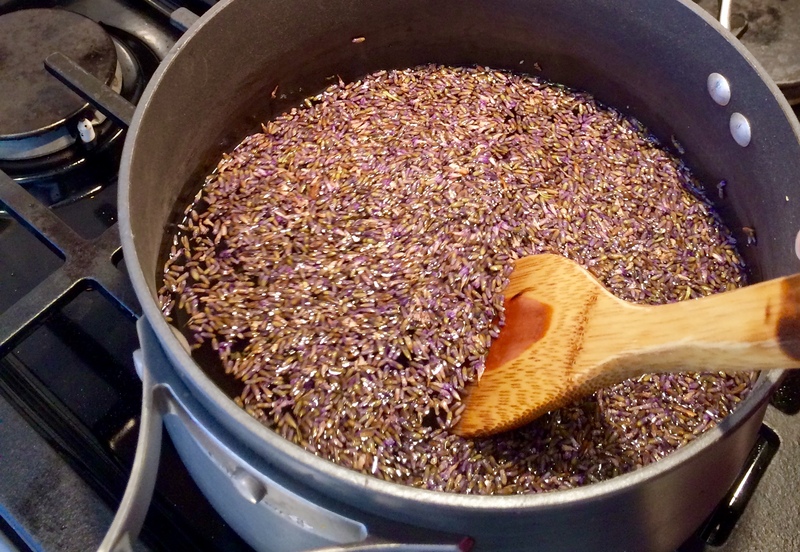 In a sauce pan steep roughly 1 cup lavender, 4 cups water, and 1/2 cup honey. Adjust/add honey to taste as needed (depending on strength of honey and lavender.) Steep the mixture over low heat (do not boil) until the lavender begins to lose color. You will see it start to turn brown. Stir all the while (about 15 minutes). Drain the mixture through cheese cloth and put the deep mauve liquid in the refrigerator to cool. This will make a little over 1 quart of your lavender/honey mix. Once the mix has cooled, pour 3 parts lavender mix and 1 part gin into a shaker. 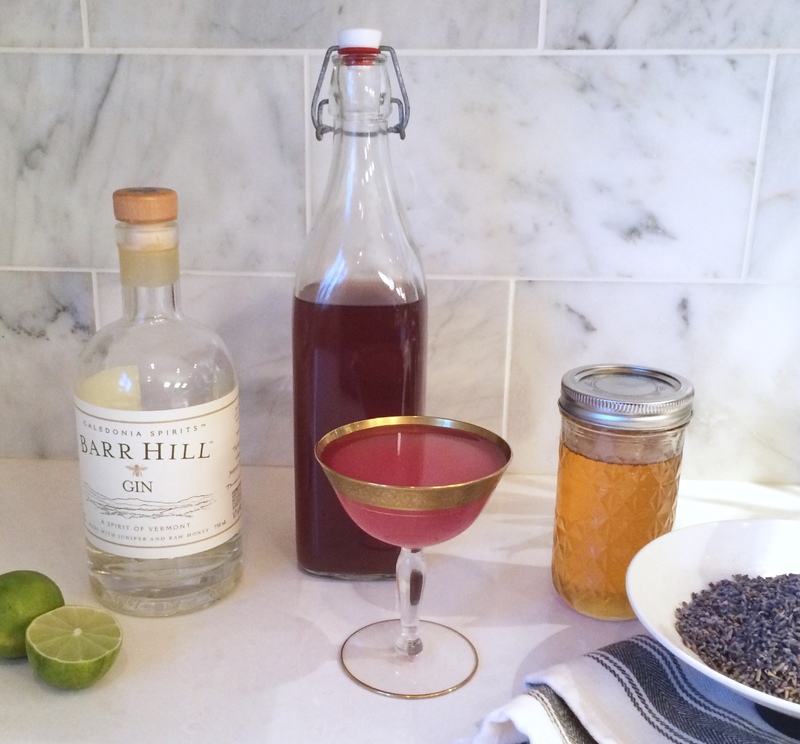 We used Bar Hill Gin, a delicious Vermont-born-and-raised gin with notes of raw honey & juniper berry. Add the juice of 1 small lime, roughly a tablespoon of simple syrup (if needed to cut the bitterness: trust your taste buds), a handful of ice, and you’re ready to shake and serve. It will come out the most beautiful shade of pink. This soothing cocktail is sure to give you the buzz you are looking for. Happy chilling.